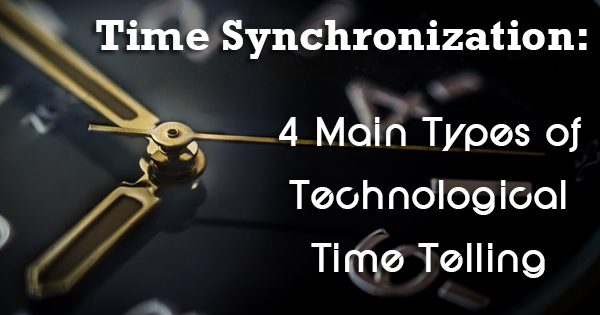 Time Synchronization: 4 Main Types of Technological Time Telling | TimeMachines Inc.
Time synchronization is essential for just about every business that relies on integrated computer networks. Whether you’re relying on PTP servers or a basic WiFi Internet connection, you need a reliable method for telling time. Power over Ethernet (PoE) is a powerful way of providing accurate time updates that can be used in networks across hundreds of industries. PoE digital clocks deliver both strong power and accurate time updates through only one cable that is connected to the Ethernet. For businesses with many employees in-house, PoE clocks are excellent options for time synchronization. Network Time Protocol (NTP) has been in operation since the mid 1980s. Though 1985 was only 33 years ago, NTP is actually one of the oldest Internet protocols still in use today. NTP digital clocks are excellent for securing accurate and quality time updates across networks of all sizes. Precision Time Protocol (PTP) is a much more advanced form of time synchronization. These PTP servers can be used to synchronize clocks throughout a computer network. PTP severs were originally standardized and even defined by the Institute of Electrical and Electronics Engineers (IEEE) back in the early 2000s. WiFi is a technology for wireless local area networking that was standardized by the IEEE in the late 1990s. Devices that can use WiFi technology, and connect to time networks, include personal computers, phones and tablets, digital cameras, video game consoles, digital auto players, modern printers, and many more devices. WiFi technology has grown immensely popular over the last few years and is one of the most common network connections used for both business and personal use. As of 2007, embedded WiFi modules have become available that focus on keeping time, incorporating a real-time operating system allowing any device that has WiFi communications via a serial port to stay connected and synchronized across a time telling network. These WiFi enabled time devices can communicate via the Internet. If you want to learn more about PoE digital clocks, NTP clocks, PTP servers, or WiFi clocks, give Time Machines a call right away.